I was asked recently if I could write a post about my dream-reading space. Sounds like fun, how hard can it be? With maybe a little stream running nearby. But then I have to stop and think practically… because, you see, while both of these images have a bit of that “Secret Garden” whimsy to them, and I love the sound of running water, and being outside… neither of these places looks like it would truly be all that comfortable to curl up in with a good book. And when I’m reading, comfort is important… because I tend to get lost in books, and if I’m not sitting in a comfortable place or position, I can very quickly end up with a very bad headache or sore neck and shoulders. So… more realistically, what would my ideal reading space actually look like? It would be inside a cozy, personal library. 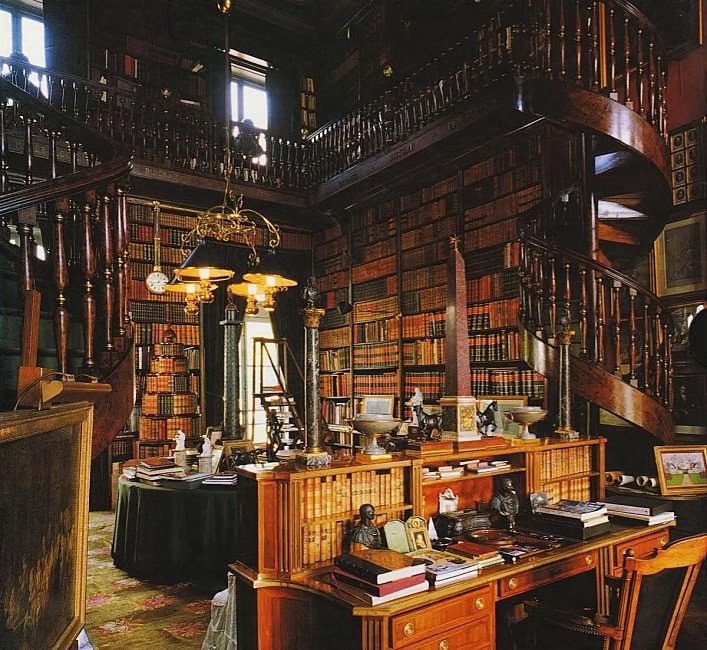 Ideally it would look an awful lot like Henry Higgins’ library in the movie “My Fair Lady.” Bookshelves would line the walls, and there would be an open “second story” of library shelves that you could get to by a spiral staircase. Seriously… I want that library! Kind of love these bookcases, from the Arhaus living room collection, with their Old World style. Something like that lining the shelves (especially if they came with a ladder… ladders are a library musssst have and we WANTS IT, Precious). It would definitely need one of those delightful leather recliner-things… possibly something like THIS ONE also from the Arhaus living room collection. it wouldn’t HAVE to cost $5,000… of course, (okay, there’s no way it could, unless I start selling a LOT more books… but we’re dreaming here, right?) but I love that look of the sort of old-school brass-buttoned leather. Comfort would be key, though, so I’d have to sit in ALL THE CHAIRS before I could pick the one that was “just right” as Goldilocks would say. I would stick the chair in a corner, somewhere near a window… yes, my library reading space would definitely need a few more windows than are pictured above, in either library. Which is problematic, as I know sunlight can destroy books over time. but also be conveniently near the shelves of all. the. books. 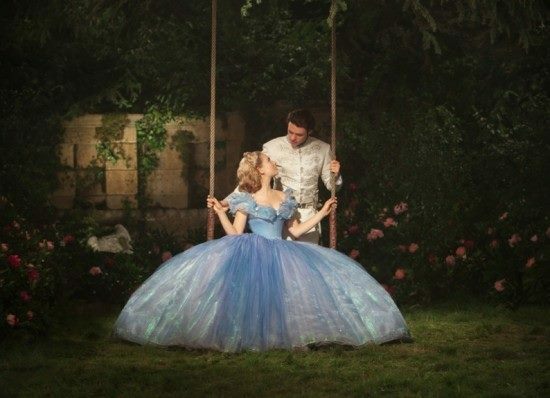 And while I’m dreaming, I’d definitely wear that dress while reading… and my handsome Prince Derek would come out and push me on the swing whenever my eyes need a break from reading or writing. And a maid would do all the dishes and laundry. Yes. Yes, that would be just about perfect. How about you, dear Reader? What does YOUR ideal reading spot or room or library look like? Thanks! I’m glad you enjoyed it! And yes, the stone benches look far too hard for sitting on to read a book… but the setting is so pretty I’d almost be willing to risk it. I know!!! It was a scene that made every book-wyrm’s heart simultaneously explode with a mixture of happiness and envy! Your dream reading space sounds (I’m trying to think of a different adjective than “great” or “wonderful” because I feel like I use those two words in every. single. comment, haha) like a place that I want to read in! Can I come and visit?? I’ll even bring my own book.